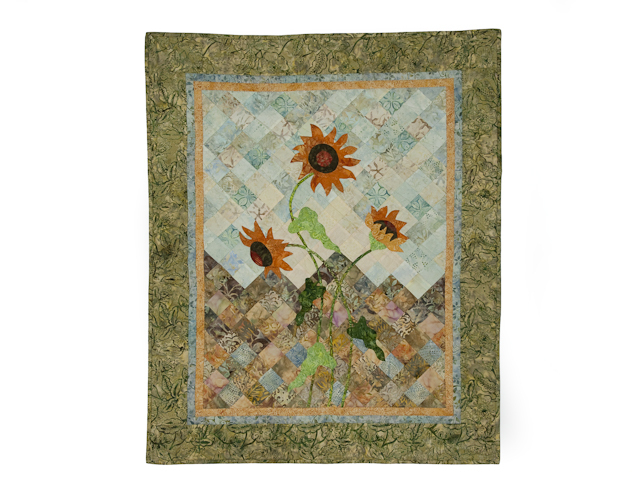 Here is a brand new desingn for the favorite sunflower! 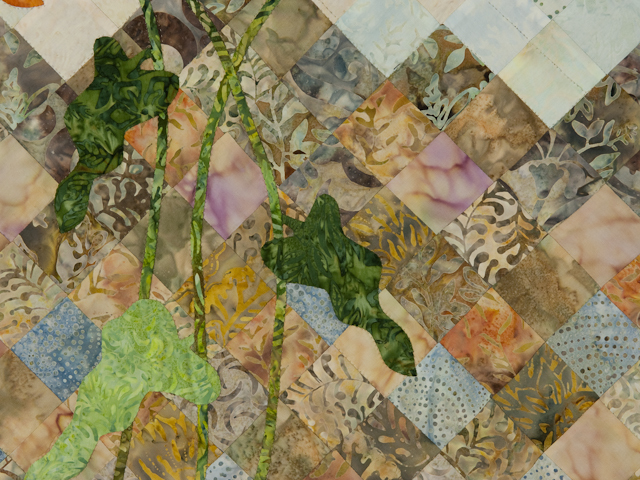 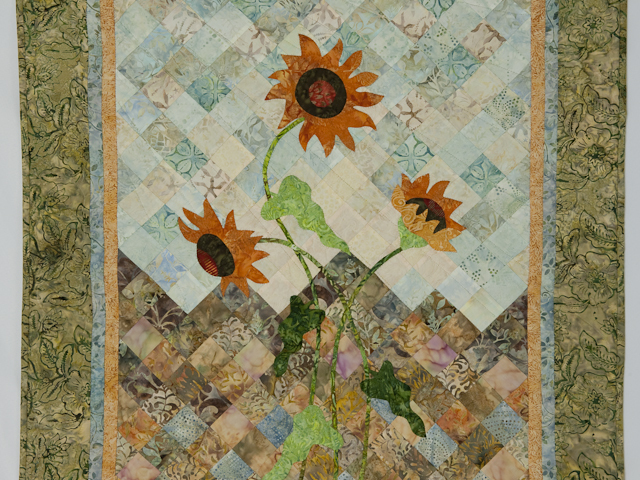 C Jean Horst designed this watercolor quilt with a pieced mountain scene in the background and some rambling sunflowers hand appliquéd in the foreground. 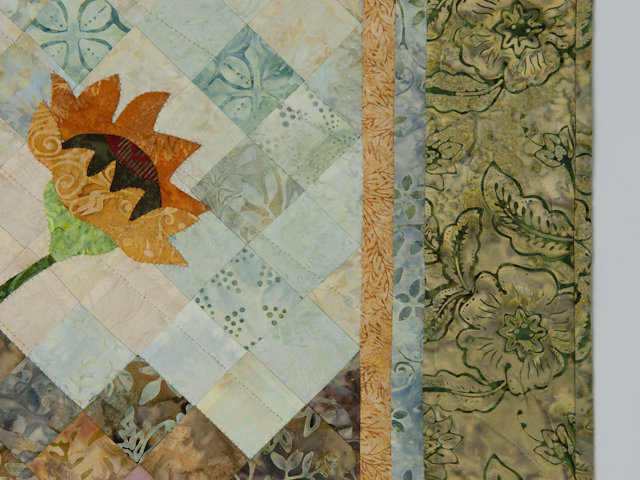 All fabrics are beautiful batiks! 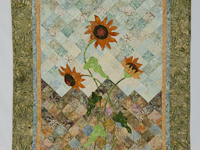 It is hand quilted by an Amish woman using 8 - 9 stitches per inch. 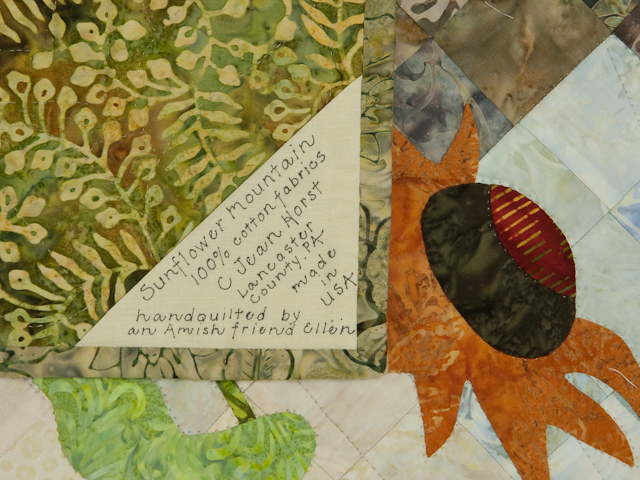 It also has 100% cotton backing and a corner tag that documents the name of the quilt, the maker, the fabric content and date as well as the note made in America. 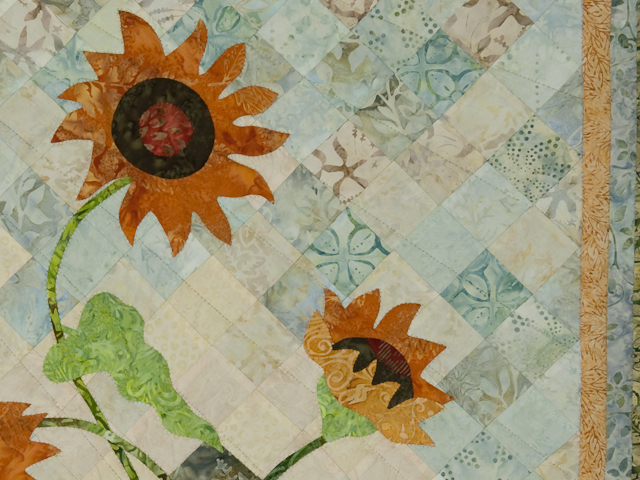 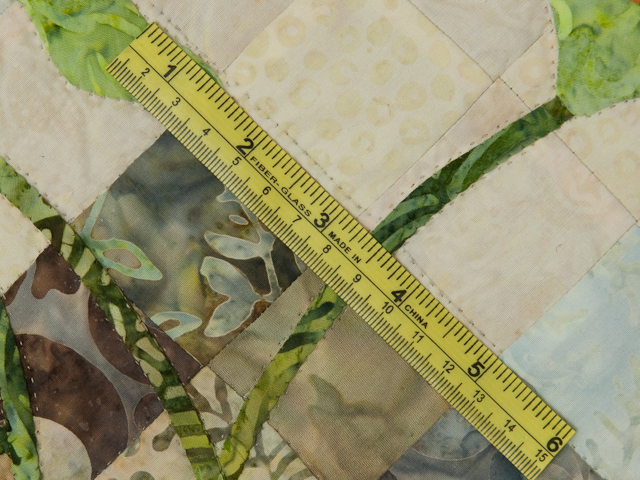 Here is the newest watercolor quilt that Jean has designed.